APRIL saw the arrival of three more Class 68s locomotives for Direct Rail Services, which completes the second batch of locos ordered. On March 23, Nos. 68020-022 arrived at Workington and were followed on April 4 by Nos. 68023-25, which arrived on the MV Eendracht. 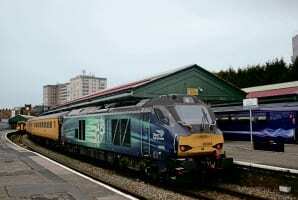 They were unloaded the next day and tripped to Carlisle Kingmoor on April 6.